Daguerreotypes. Slippers. A Sèvres porcelain plate. A red velvet dress. 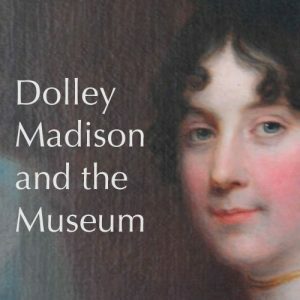 Dolley Madison and the Museum highlights some of the museum’s amazing Madison-related collections, connecting the stories behind the objects and showing how they came to the museum. These items reveal surprising details about the life and work of the Madisons and highlight ways Dolley has been remembered in Greensboro and beyond. A changing component offers visitors a chance to see fragile objects that can only be exhibited for a short period of time. We start with a rare look at Dolley’s red velvet dress, on display May 20 – August 26, 2018. A Tunisian mantle given to the Madisons when James served as Secretary of State will replace it through November 25. Dolley’s trademark turban and a daguerreotype showing her in it will be on display November 27, 2018 – March 3, 2019. Finally, a 1796 coded letter from James Madison to James Monroe, along with a daguerreotype of Dolley and niece Anna Payne, will be exhibited through June 2, 2019.